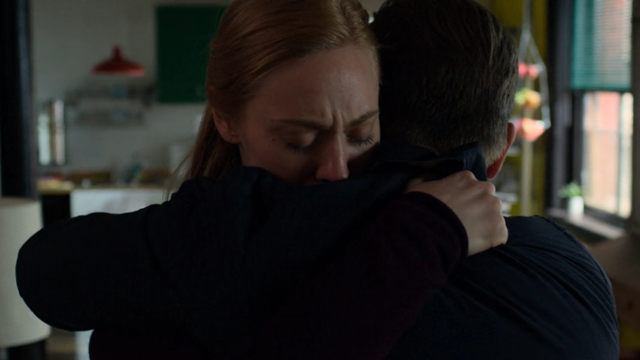 Daredevil season 3 episode 9 picks up with Matt questioning Father Lantom regarding Maggie being Matt’s mother, which Matt overheard in the previous episode. Lantom explains to Matt how Maggie fell in love before taking her vows and had a son out of wedlock. 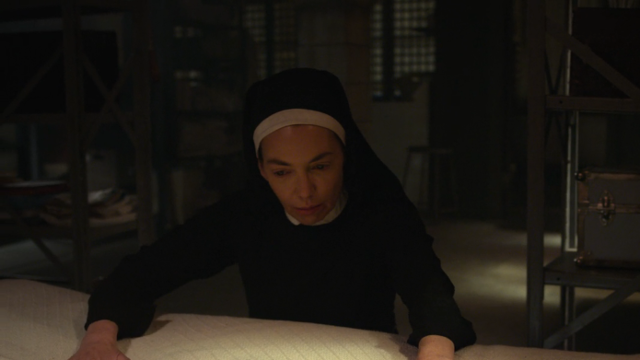 With Maggie suffering from post-partum depression and feeling like she betrayed God, Jack called Lantom and had Maggie returned to the convent. Lantom tells Matt that the secret was Maggie’s to tell, not his, and that she is a flawed person who has lived her life trying to make amends. Matt is not having any of it. Ray is ready to come clean about Fisk’s playing the FBI. He makes a recorded statement to an investigator at his boss’s home, only for his boss to shoot the investigator and say on tape that it was Ray who killed him. Felix bags the tape and Ray’s gun, using it as evidence to blackmail Ray into working for Fisk. Ray sees the scope of Fisk’s influence in the FBI. Dex is reinstated from his suspension. In closed sessions at the FBI, they don’t even say Fisk’s name, calling him “Kingpin” instead. Ray questions what Fisk has on all of them. 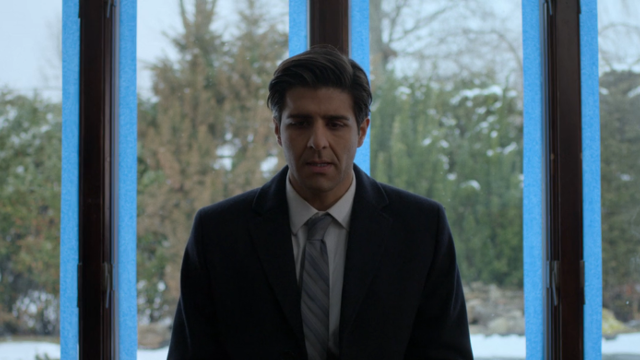 His boss tells Ray to think about his family and what Fisk will do to them if Ray doesn’t cooperate. The FBI rounds up crime bosses and takes them to a meeting, using Ray to tip off Matt in an attempt to draw him into a trap. Fisk demands 25% of everything the criminals do in the city in exchange for protecting them from the FBI. Fisk and Dex become agitated when Matt never shows. Foggy’s speech against DA Tower and Fisk has gone viral. He might actually win the election. While the Nelsons are celebrating, Theo tells Foggy to recant. Theo informs Foggy that Fisk put Nelson Meats into financial hardship, then bailed them out by having Theo falsify loan information. 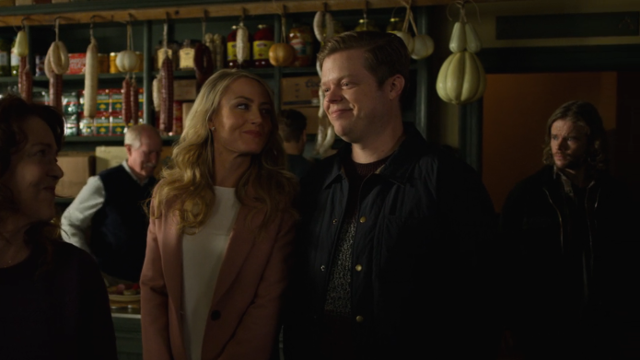 If Foggy doesn’t walk back his remarks, the loan applications will be made known to law enforcement, meaning that not only will Foggy’s campaign be derailed, but Theo and their parents will go to jail. Karen knows that Fisk is gunning for her. She tells Foggy she’s going to run away, right after she tells Matt that Fisk knows he’s the Daredevil. Karen meets Maggie at the church, who tells Karen that Matt has learned the truth about her and isn’t ever coming back. Karen explains that she can’t be there for Matt anymore because of Fisk. Maggie tells Karen to hide at the church while Maggie arranges a way to hide Karen somewhere Fisk will never find her using the church’s resources and 2,000 year history of hiding people. Matt hides out in his father’s old gym, waiting for Ray to call. There, he imagines his father’s words, telling Matt that he’s a fighter like his father. Jack’s voice becomes Fisk’s, and Matt says that he’s not going to throw the fight like his father did. He’s going to kill Fisk. When Ray calls with the information about the Fisk, instead of going to the meeting Matt goes to Fisk’s penthouse. There, he finds Fisk’s control room. On the monitor, Matt overhears the corrupt FBI agents saying that Karen has been spotted at the church and that Fisk is on his way there to kill her. 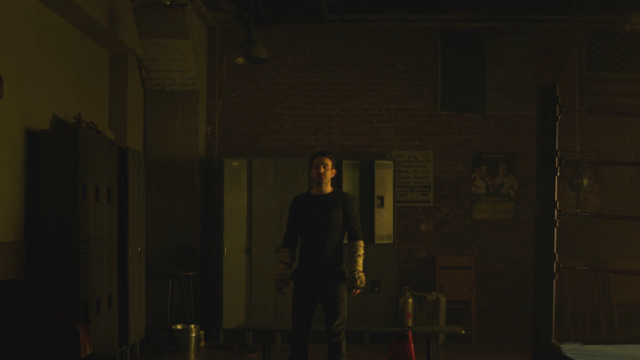 What did you think about Daredevil season 3 episode 9? Let us know in the comments below!